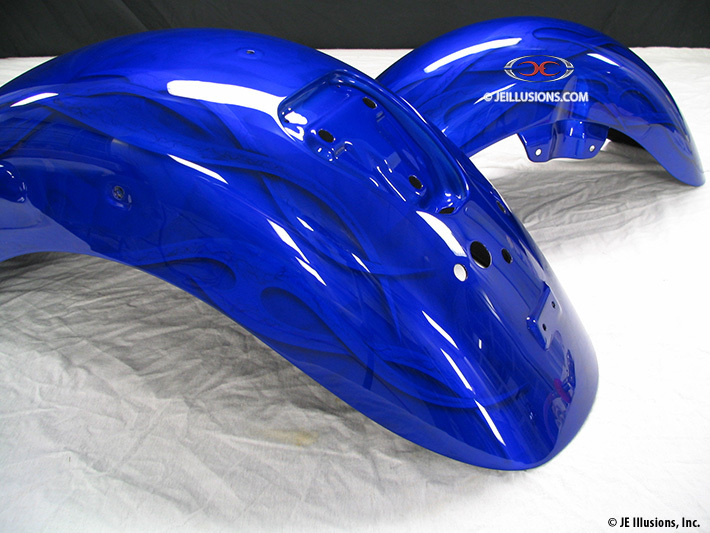 Royal blue under-base with two tribal blade designs weaving through each other running down each side of this paint design. 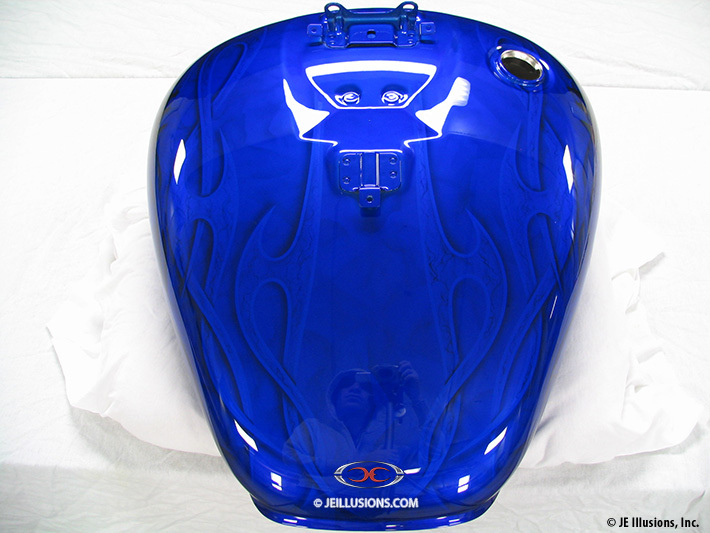 The blade designs are done in royal blue with our signature hand air-brushed marbling technique on the inside and a drop shadow for extra added depth. 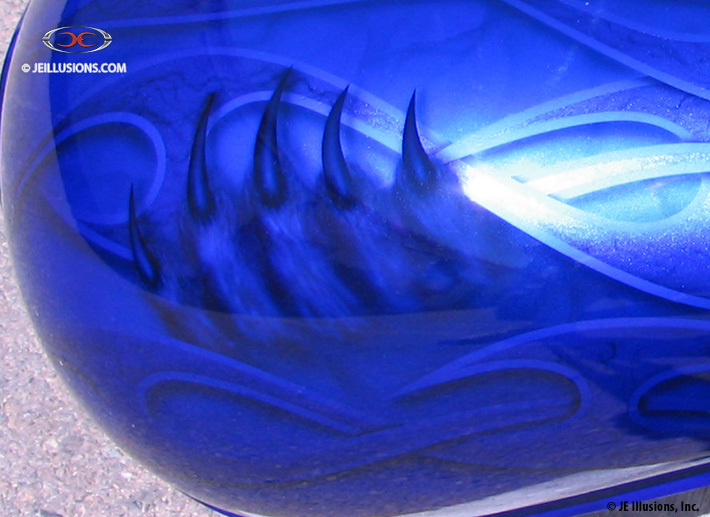 On each side of the tank is a set of claws breaking through the tank. Because of the reflection from shooting these images inside, it''s hard to see the detail of the claws, so we have included a detailed image of how it would look under the sun. 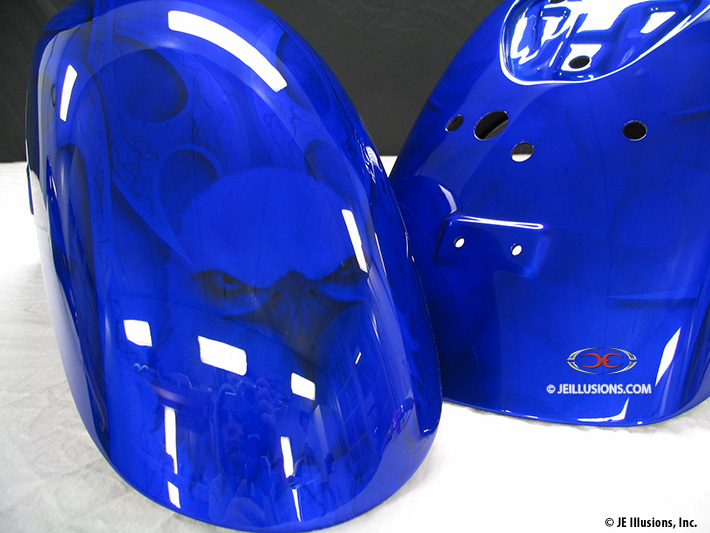 Also, on the back end of the fender is a bald eagle head to round off this paint design.